Description Of Item: POTJ - K-3PO. 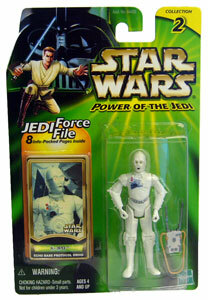 Star Wars Power of the Jedi Figures.Note: Packaging can be either english, bilingual, or trilingual. Shipments will be based on availability.